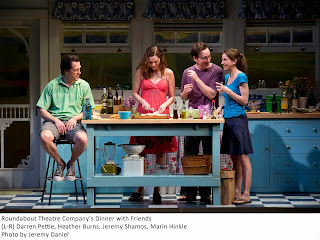 This is a superbly acted revival of Donald Margulies’ perceptively written Pulitzer Prize winner (in the year 2000) about a pair of upper crust Connecticut couples: Gabe and Karen and their longtime friends Beth and Tom, and what happens to the former's relationship when they learn the latter are divorcing. Brilliantly directed by Pam MacKinnon, who leads her cast in bringing out every nuance of the narrative, the play is so riveting you hang on every word. At the start, Gabe (Jeremy Shamos, late of MacKinnon’s “Clybourne Park”) and Karen (Marin Hinkle) seem to have it all as, over the latest of a lifetime of gourmet meals, they enthusiastically share stories of their recent European trip with the meekly silent Beth (Heather Burns), their trapped sounding board. But when Gabe leaves the room to deal with their off-stage children, Beth finally drops the bombshell about the end of her marriage. Tom (Darren Pettie), it seems, has met someone else, a younger travel agent, and the marriage is well and truly finished. 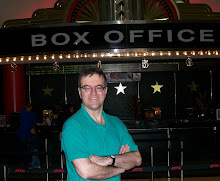 An encounter between Gabe and Tom, who rushes over to tell his pal his own side of the story later that evening, confirms the veracity of Beth’s story. It seems Gabe and Karen were responsible for bringing their two seemingly mismatched friends together in the first place, as the second act flashback reveals. 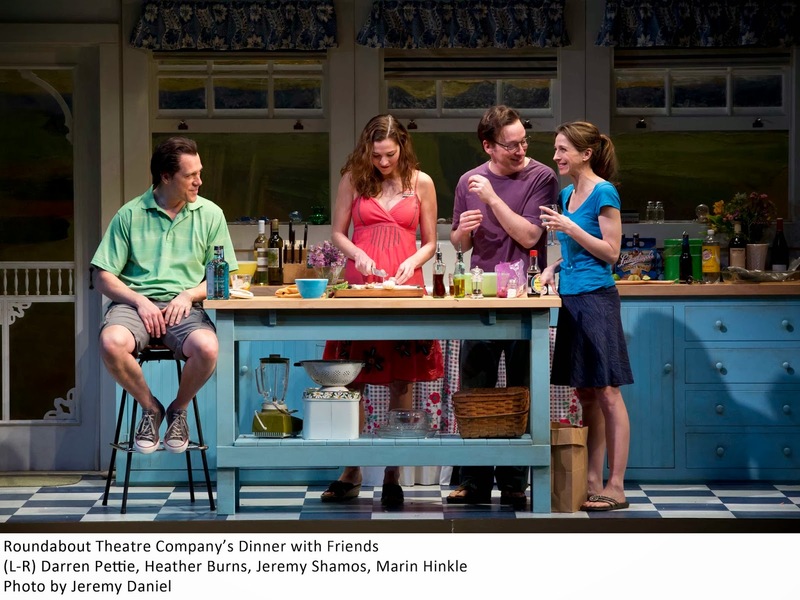 But the split will have more impact on the heretofore self-satisfied and complacent Gabe and Karen than their separating pals, and the way in which that psychological disturbance plays out is what gives “Dinner with Friends” its texture and extraordinary poignancy. The climactic meetings of Karen and Beth, and then Gabe and Tom are exquisitely played, with nary a false note. Allen Moyer’s scenic design – at first a dull gray shell, soon proves highly versatile with set pieces that roll on and off showing the couple’s homes in Connecticut and Martha’s Vineyard, and even a Manhattan bar. Ilona Somogyi’s costumes and Jane Cox’s lighting are equally classy and apt.